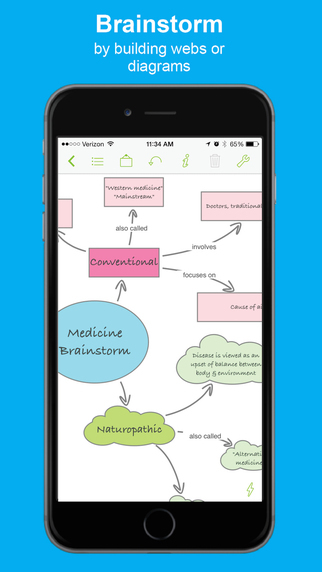 The mind mapping and outlining app Inspiration Maps, which was previously only available on the iPad, is now available on the iPhone as well. 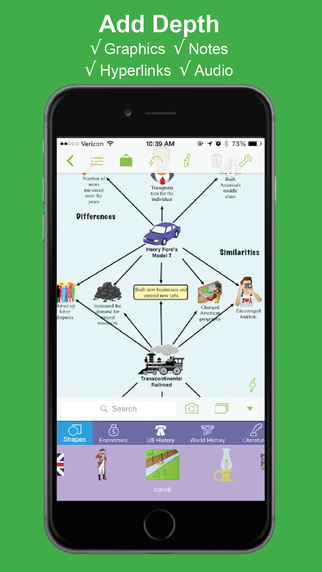 The app is a valuable tool to help students organize their ideas and start the writing process. Users can drag text boxes around the screen to easily produce webs of ideas. 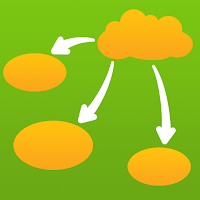 Inspiration Maps is particularly helpful when writing about complex topics that require a well planned and organized essay. Inspiration Maps can be also be helpful when beginning an essay to visualize the structure that the written piece will take. With the larger screen iPhone 6 and iPhone 6 plus in makes sense to bring the app to the iPhone. If you are concerned about not having enough room to effectively use the app on your iPhone, a free version is available here. The update also makes in easier to select multiple text boxes or images at the same time. 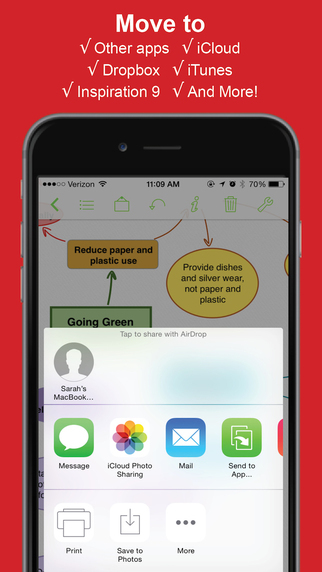 Now users can press and hold on the screen in order to lasso a group of images. The updated app is available for $10 is the App Store. Click here to download the app. 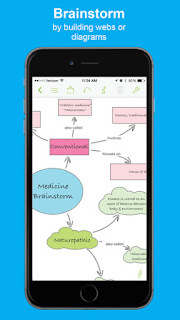 Click read more below to view more screenshots of Inspiration Maps for iPhone.